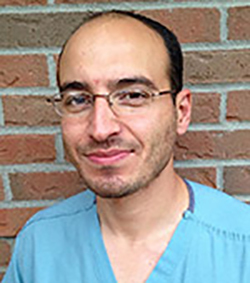 Dr. Abdul Shakfa is a graduate of the University of Detroit Mercy School of Dentistry. His primary practice is focused on dental implantology, implant dentistry, advanced bone grafting, and periodontal plastic surgery. As a dental student he completed an Oral Surgical internship at Indiana University-Purdue University (Indianapolis). In addition to having placed thousands of dental implants, Dr. Shakfa is certified and trained in advanced cardiovascular life support and sleep dentistry.